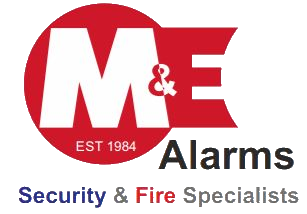 M&E Alarms was founded in 1984 to provide a comprehensive and professional fire and security service, protecting homes and businesses across the South West. As a family run company, almost everyone in the office has the same surname and we know that having a happy office allows us to provide our customers with a friendly, helpful and reliable service. In the last 30 years, we have grown a loyal and dedicated staff that produce an enviable level of service that we believe is not matched anywhere in the south-west. This has led to a devoted and loyal customer base ever since we began. We have worked hand in hand with local authorities for over 25 years, maintaining fire and security systems in many schools, hospitals and council buildings which we still monitor and service today. M&E also maintain the town centre CCTV systems in Barnstaple, Bideford and Ilfracombe in North Devon, which means we work closely with the police and town management organisations. All the employees at M&E are CRB checked, and the company holds the relevant CHAS approval for the health and safety aspects of today’s construction industry. As the demand for faster and modern technology increases, M&E is continually expanding it’s product range to fit our customer's requests and help them protect their businesses and homes. M&E is a local family company and hopefully, you have seen one of our many vans around North Devon out and about supporting our customers! We are very proud of the fact we are one of the largest security companies in The South West and if you see one of our engineers in the vans, be sure to give them a wave.